"Top Hostel Rooms" is located on Krupówki - the main pedestrian street in the center of Zakopane. It offers rooms with free Wi-Fi. 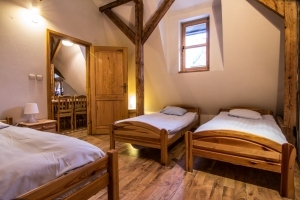 All rooms are bright and decorated in wood. There is a private bathroom or shared bathroom in the hallway. 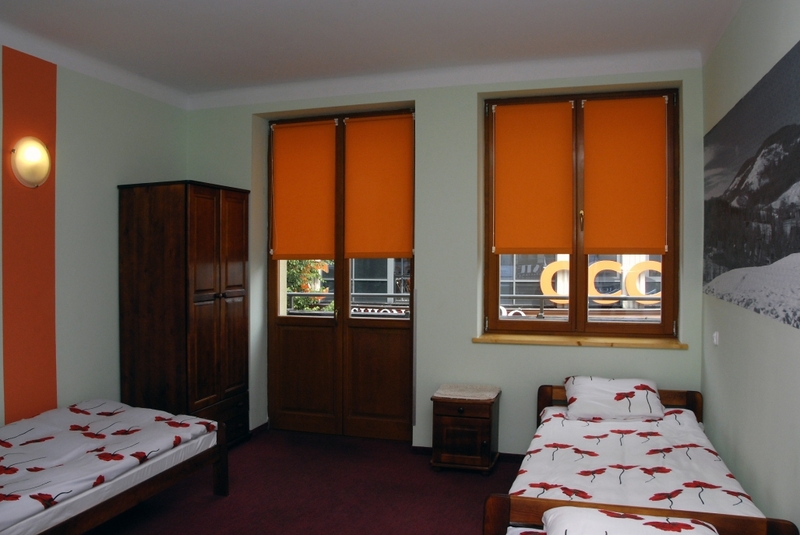 Room size: approximately 12 square meters. 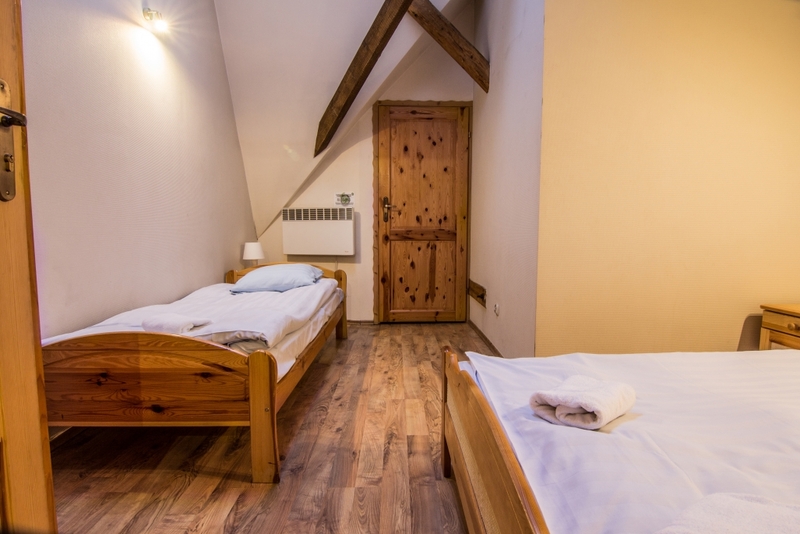 The room is equipped with wooden furniture and a shared bathroom in the hallway. This bathroom is divided into two double rooms or two double rooms and one triple room. 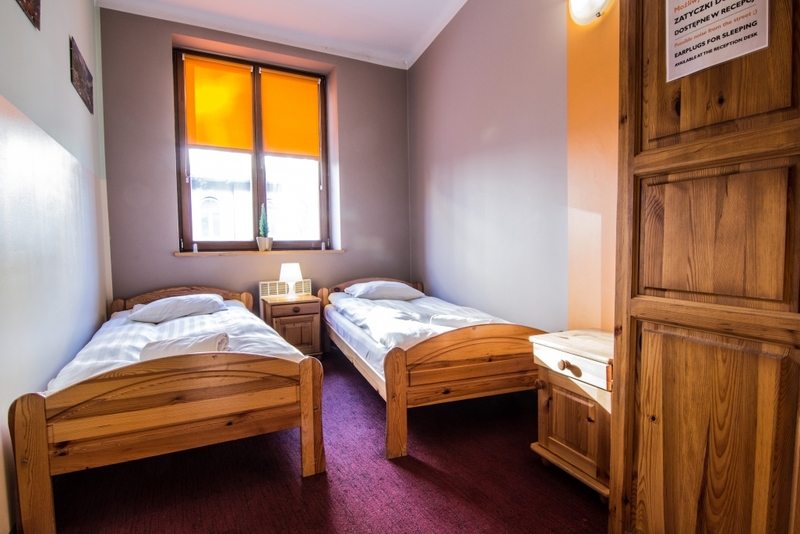 You can choose a room with a double bed or two single beds. 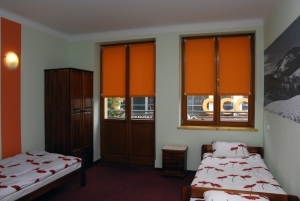 Room size: approximately 12 square meters .. 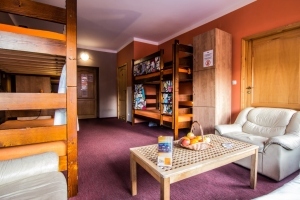 This room is furnished with wooden furniture and a bathroom with a shower. Available bed configuration is one double bed and one single and three single beds. 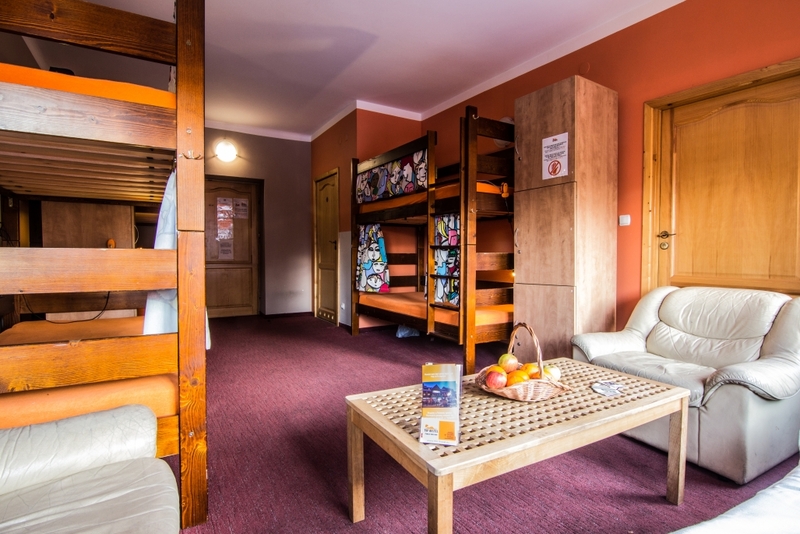 The room is equipped with wooden furniture and a shared bathroom in the hallway. This bathroom is divided into two triple rooms or two double rooms and one triple room. You can choose marriage beds and single or three single beds. This room features wooden furniture and a bathroom with a shower. 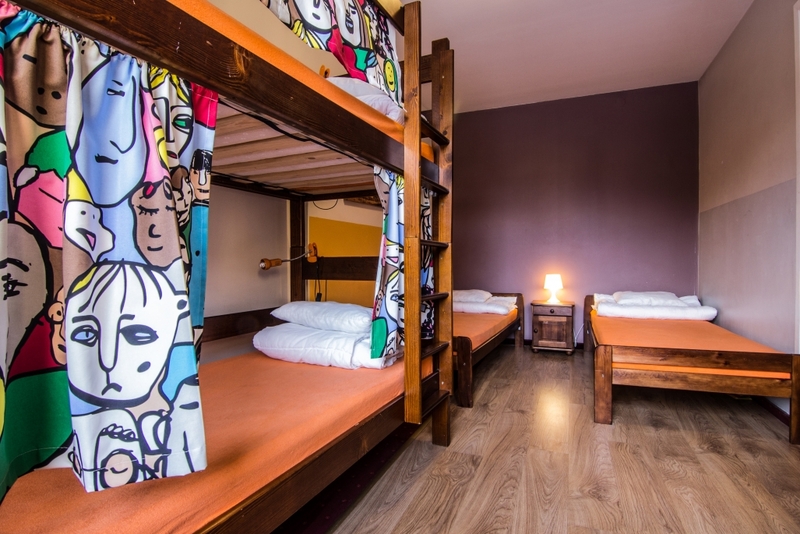 You can select one of three configuration beds: a double bed and two twin beds, four twin beds or bunk beds. 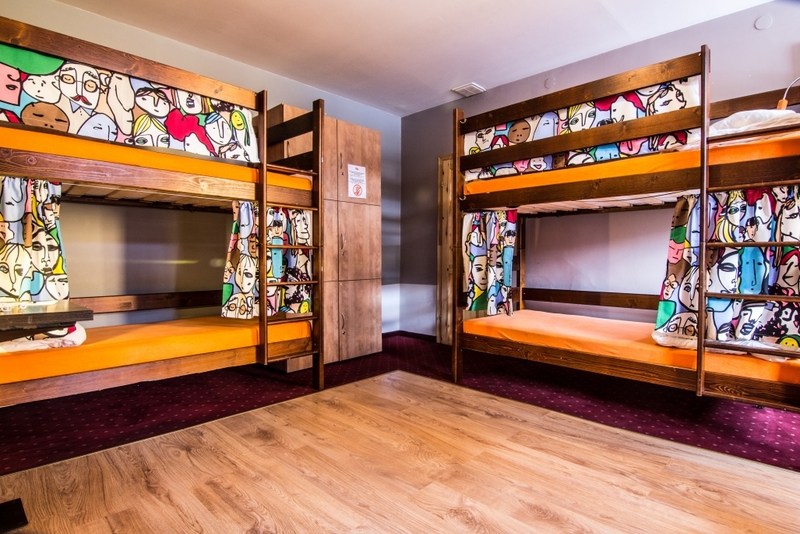 This room is a dormitory room equipped with 2 single beds and 1 bunk bed. The entrance to this room is through room 6 bed, where there is a shared bathroom. 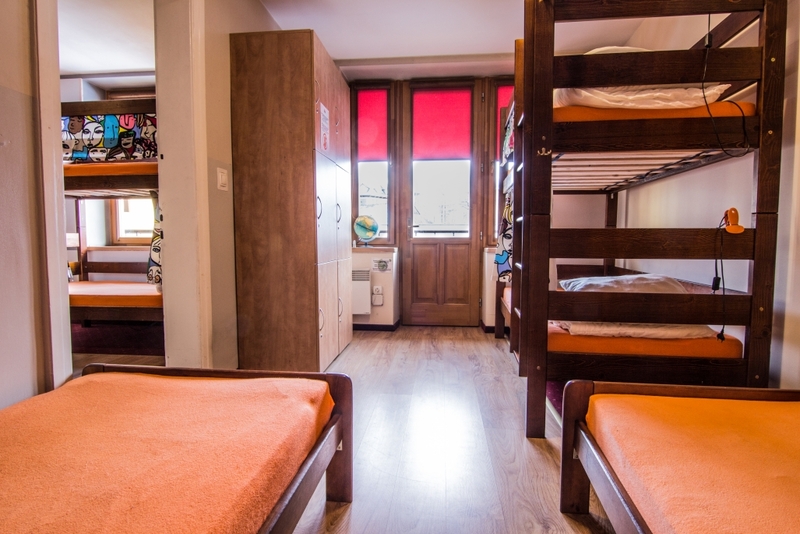 This is an interconnecting room in the spacious dormitory. It is connected to a dormitory room with 4 beds. This room has a shared bathroom.